This site provides you with information about the company, our services and products. JKS was founded in 1991. For 20 years we produce and sell printed circuit boards for equipment manufacturers from the industrial and the consumer sector. 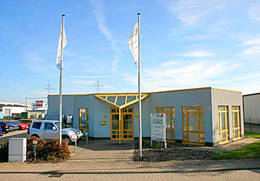 At the Hildesheim site we manufacture with technical advanced equipment with a total of 25 employees. Certificates and approvals:Our manufacturers are certified according to DIN EN ISO 9001:2008 and UL. We offer a Full � Service concept from the creation of data (CAM � Computer Aided Manufacturing) to the quality control of the finished product. This includes: CNC programming, CNC drilling, printing technology/exposure, electroplating, etching /solder levelling, photo printing/screen printing and quality control with 100% electronic testing. Of course we use the most recent methods of production and also high qualitative products to fulfil our customers' requirements. Our production equipment can be found through the products & services. We produce printed circuit boards (PCBs) for following applications: equipment manufacturers, system integrators for assemblies, business machine manufacturers, manufacturers of general mobile products, photo laboratories, manufacturers of cash dispensers and other automatic machines, medical technology, manufacturers of consumer electronics, industry electronics, automation, manufacturers of motor vehicle assemblies, HVAC systems, manufacturers of IT equipment and also manufacturers of photovoltaic systems. Through the references you can find actual customer projects. JKS handles very urgent orders within 24 hours. The main value for our costumers is our flexibility and the fast response. We focus on the core competence of small projects, medium projects, prototypes and test projects. Of course we also accept orders for larger quantities. These orders will be handled by our certified partners. In this case we are taking over the complete handling for our costumers. All electroplating methods applied in our company impose strict requirements in environmental protection. We know the responsibility associated with our work, and for this reason we operate a very modern liquid waste processing system in the anions � cations rotation practice. Our production only needs lowest amounts of fresh water per production cycle. Through the environmental protection you can find more details on our commitment for sustainable conservation. We are looking forward to your message via telephone or contact form.